AgUARDIAN "The Web" is a light weight, antimicrobial polyurethane fabric ideal for many applications. AgUARDIAN "The Web" features safe and effective, silver-ion antimicrobial technology. Proprietary formula includes Agion ingredient embedded within the 54" wide polyurethane skin to kill 99.9999% of germs on contact. 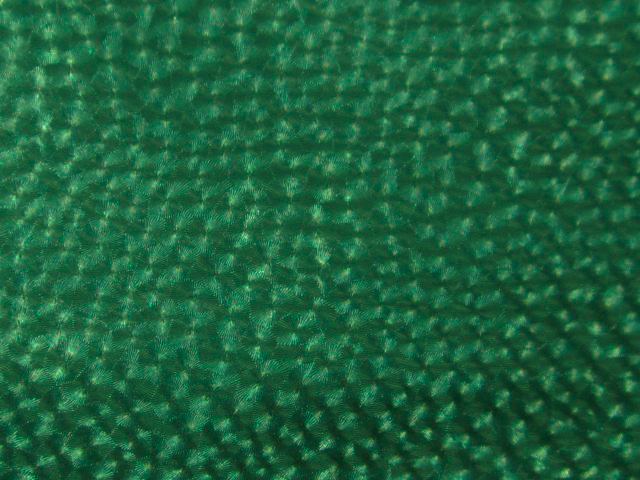 AgUARDIAN "The Web" has a high-tech, web-like embossing pattern in the 54" PU surface. Aguardian "The Web" complies with California Proposition 65 and contains no PVC, latex, lead or other toxic chemicals. Water repellent, stain resistant, easy to clean-wash or dry clean, AgUARDIAN Starlight PU textile is ideal for healthcare and any product where safe and effective antimicrobial action is useful. AgUARDIAN won Neocon Gold and the prestigious Nightingale Award for Advancement in Healthcare.